Information submitted in a nomination letter to the U.S. National Ski Hall of Fame by Doug Pfeiffer. It would seem natural that Brooks Dodge would ski. He grew up in the Pinkham Notch section of New Hampshire where his father was manager of the Appalachian Mountain Hut System. He got his first skis at the age of two, soon after he had learned to walk. During childhood, skiing and mountain climbing were natural pursuits for Brooks Dodge as his family lived eleven miles from the nearest town. A patient mother took both him and his sister skiing each day after school and attempted to teach them as much as possible. Remarkably enough, there were few formal ski lessons in Dodge’s entire career and these were taken as a young child at the Hannes Schneider Ski School just behind the village store in Jackson, New Hampshire. He credits Johnny Reid as being the first person to help him with his racing. Dodge’s very first race was at the age of seven on the Sherburn rail that ran from Tuckerman Ravine to Pinkham’s Notch. It should be obvious beyond doubt that Brooks Dodge was not only able to ski the European terrain but could also do it with the best of the Europeans. Although Dodge stopped skiing the international circuit in 1956, his interest in the sport remained keen. Along with three others, he planned and developed Wildcat Mountain in New Hampshire. Dodge organized and conducted charter flights to Europe from 1960 to 1972 and was one of the pioneers in organizing flights to the Bugaboos starting as early as 1965 and running through to 1973. Although it had been many years since those halcyon days of the 1956 Olympics, Dodge raced in the senior veterans’ class and raced well. In 1976, he won the slalom and giant slalom at the National Vets Championships held at Crystal Mountain against all classes. His wife was a non-skier when they married but raced with him. Lastly, consider this: since Dodge ran that first race from Tuckerman to Pinkham’s Notch at the age of seven, he competed in a grand total of 423 races of which he won 107. Quite a skier – that man Dodge. 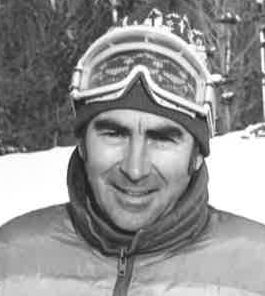 Brooks Dodge was elected to the U.S. National Ski Hall of Fame in 1978. If you notice any errors or inconsistencies in Brooks Dodge's bio, click here to let us know.